Step back in time to the Era of the Wreckers in an 1856 Key West, and discover the Key West's unusual maritime heritage as well as the story of how it became the richest city in the United States. 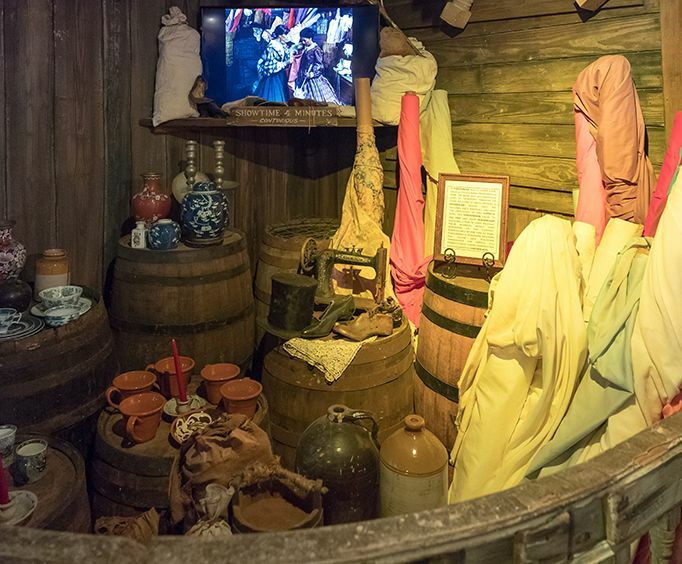 The museum combines live actors, historical films, and artifacts and cargo from wrecked ships from that era to give you an immersive experience you won't soon forget! 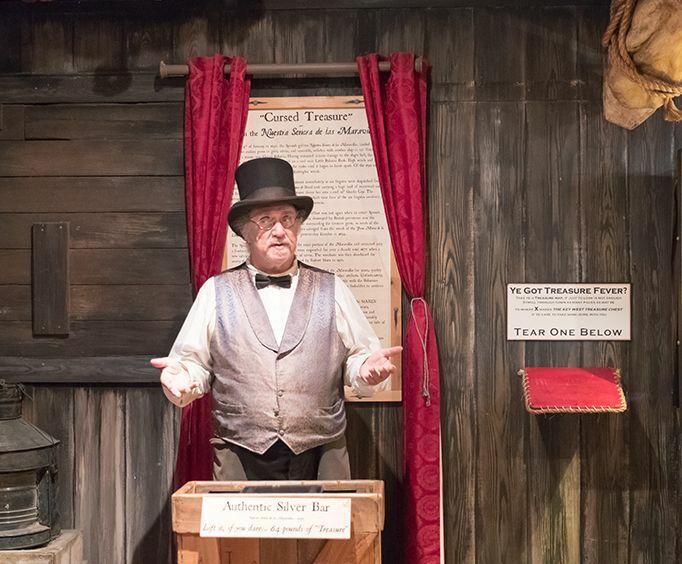 Join Asa Trift, a wealth master wrecker, and his wrecking crew as they take you through the story of the strange industry of wrecking and how it provided a livelihood for early pioneers in Key West. One of the ships featured in the museum is the merchant ship Issac Allerton, who provided the richest payoff in the history of Key West with a total of over $50,000. During the golden age of sailing, over 100 ships would pass through the waters near Key West every day. The waters along the Florida Reef were well known as some of the most treacherous waters in the world and on average, at least one ship per week would wreck along the reef. Wreckers would watch the reef from observation towers that sometimes reached over 90' tall and smaller vessels they would use to patrol the reef night and day. When a wreck was sighted, it was a mad dash to the site, and the first man to arrive was deemed the 'Wrecking Master', and would oversee the salvage operation and receive a larger share of the profits. Payout depended on how time-consuming or dangerous the operation had been. Climb into the Key West Shipwreck Treasure Museum's 65' observation tower overlooking the shore and warn Mr&period; Trift of any wrecks you see on shore. 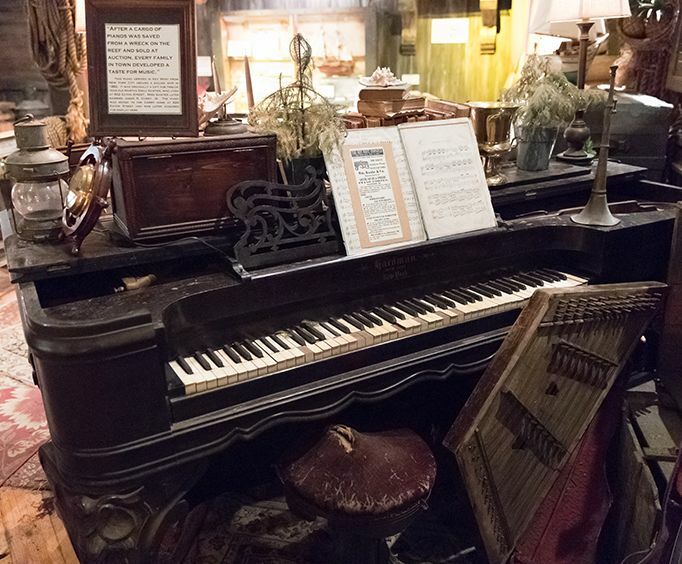 This museum is a wonderful activity for maritime and history lovers alike, sharing the heritage of Key West and letting you explore the wrecking industry in a whole new way! Built in 1836, the ship spent her years as a merchant ship, carrying cargoes throughout the North Atlantic Ocean, Caribbean, and the Gulf of Mexico. In 1856, the ship was caught in a hurricane 15 miles away from Key West. All of the crew were rescued and the cargo was recovered, resulting in the richest payoff in Key West history, totaling over $50,000. Some of the original cargo can be seen within the exhibits at the Key West Shipwreck Treasure Museum.